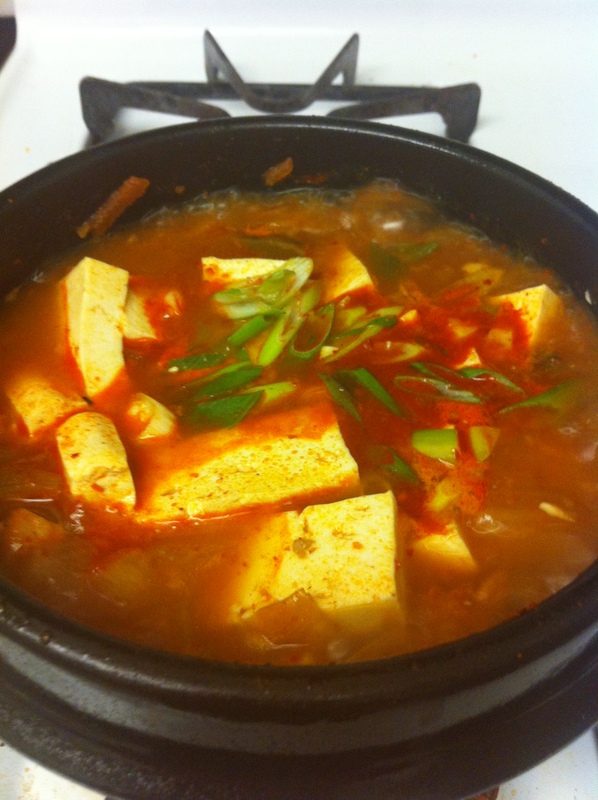 Kimchi jjigae is the queen of Korean soups. 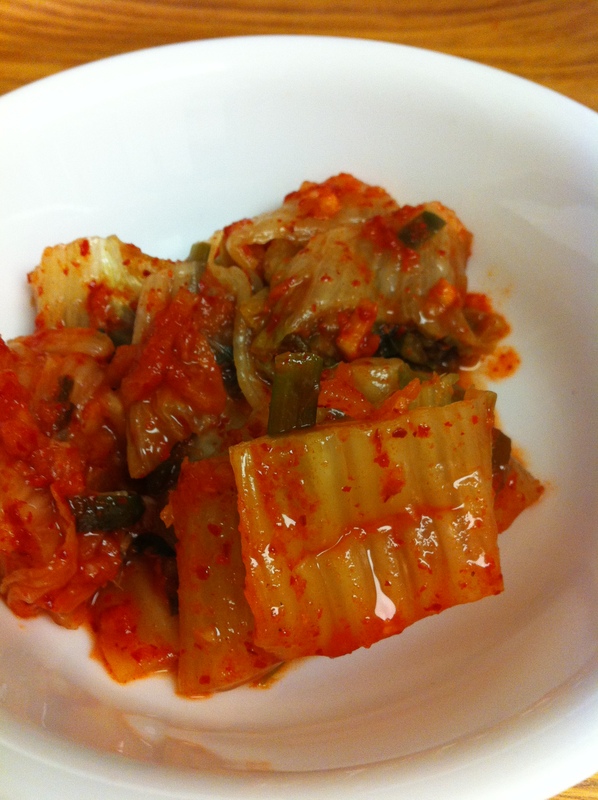 When I eat heavy meals and feel fat and bloated, all I want to have is a bowl of bubbly kimchi jjigae and some rice. You can make kimchi jjigae with a variety of ingredients such as beef and tuna, but the most popular and tasty one is made with pork. 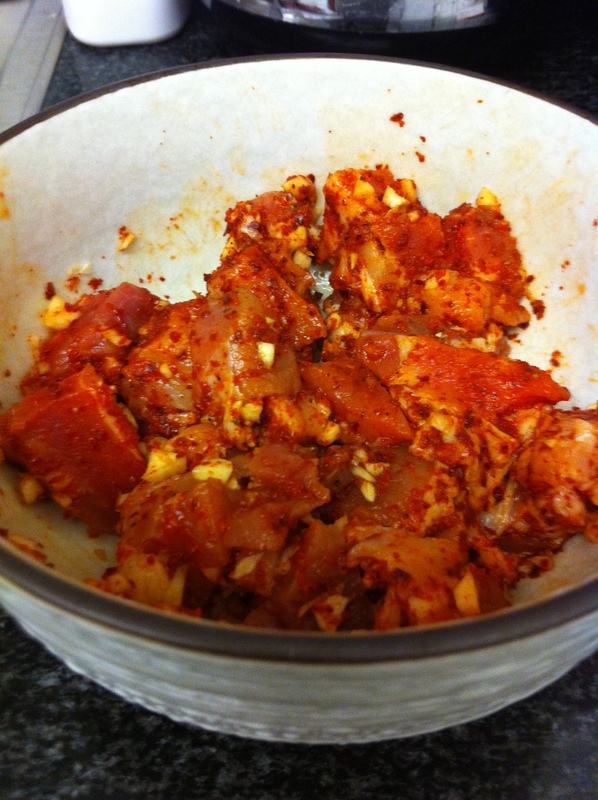 There is something magical that happens when kimchi and pork meet, as my husband says. Marinate the pork in with the above ingredients. 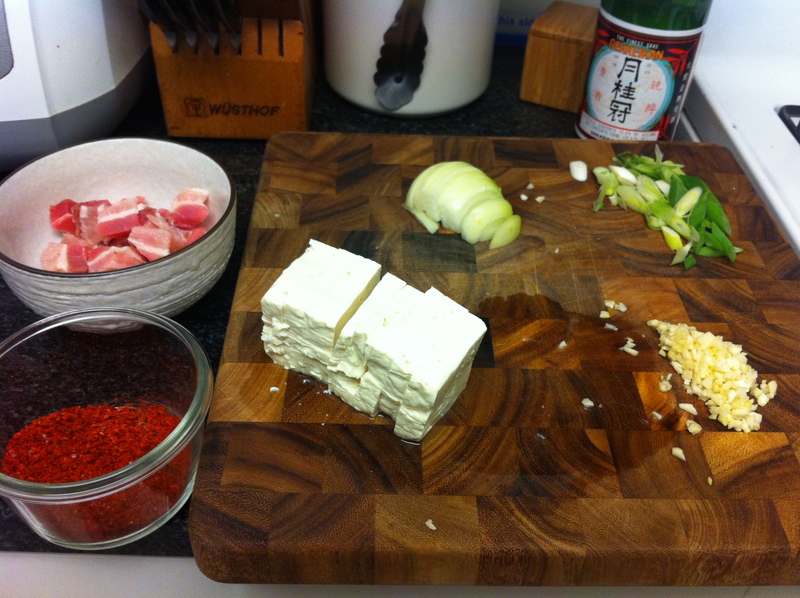 While the pork is marinating, cut the onion, scallion and tofu. Drizzle grape seed oil or vegetable oil in a Korean ceramic bowl or any medium size pot and sauté the pork for 2-3 minutes until the pork is halfway cooked. 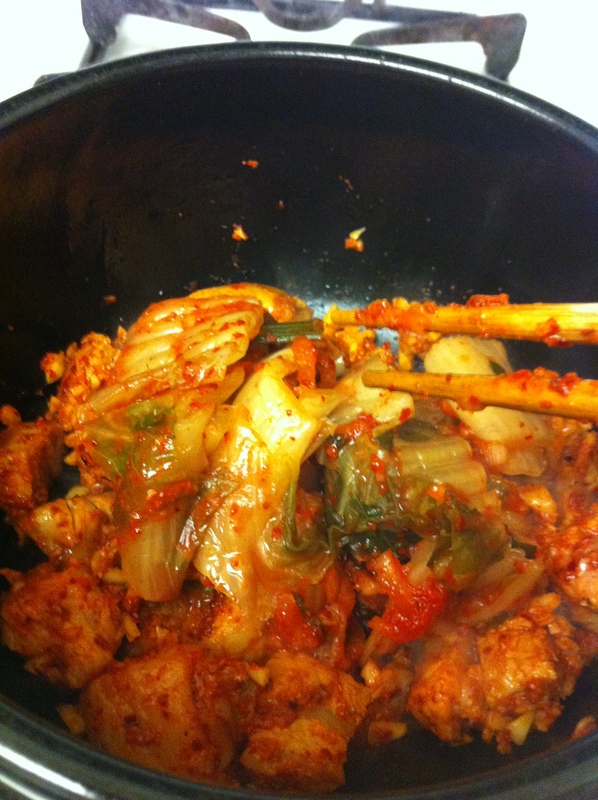 Add the kimchi slices and sauté with the pork for another 4-5 minutes. 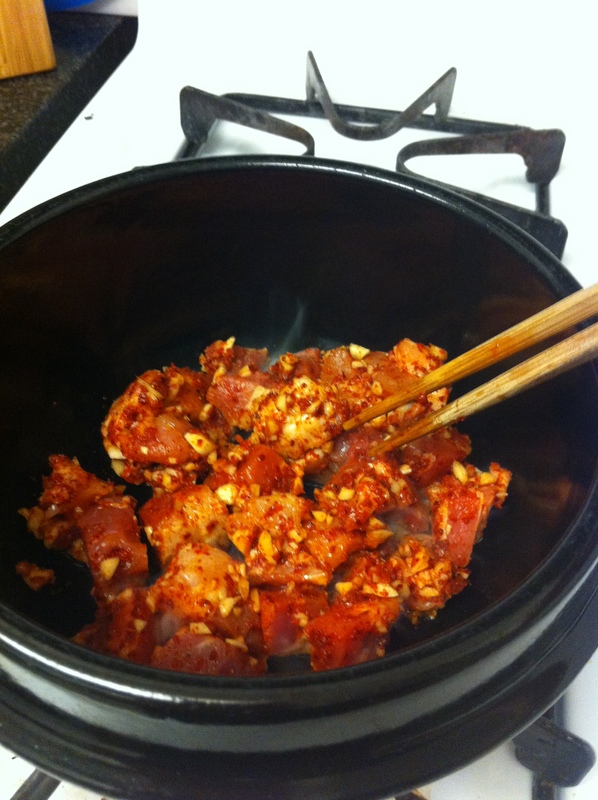 Add the onion, toss with the kimchi and pork. Add the myulchi broth or water and kimchi liquid into the pot. Bring the soup to boil then lower the heat and simmer for at least 20 minutes. Add the tofu and scallion (and rice cakes if you have them). Cook for another 5-10 minutes. 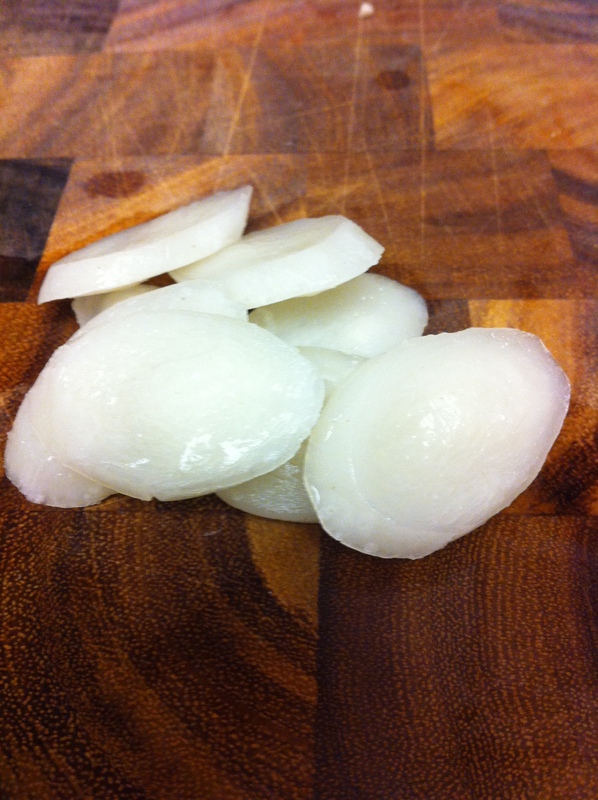 If the soup needs more seasoning, you can add more kimchi liquid, fish sauce or salt. This entry was posted in Good for dinner, Good for lunch, Meat/Chicken, Soup/Stew (국/탕/찌게) and tagged Anchovy Broth, Jjigae, Kimchee, Myulchi Yuksoo, Pork Belly, Sagol-guk, Samgyupsal by gangnamkitchen. Bookmark the permalink. Made this according to your recipe last night and it was amazing!! reminded me of my trip in Seoul back in November last year. Thank you dear! !